Cliche as it sound but definitely true when we say… Trust can be hard to earn and easy to break, especially in regards to your most intimate relationships. Unfortunately, cheating and infidelity are shockingly common in relationships, and the chances are good that you will one day be the victim of a cheater. Don’t let this scare you from seeking fulfilling relationships, just be aware that these tips can help you spot a cheater. Is your partner always just finishing up a call or closing messages as soon as you walk in the room? Do you have reasonable access to their phone, email accounts and other areas of their life? If you find that your partner is highly secretive about their actions and offended when you ask simple questions about their correspondence, this should be a red flag that there might be more people than just you and your partner in your relationship. Do you suddenly find yourself alone at the dinner table because your partner had to work late or are they logging in more hours at the gym with little evidence of weight loss or muscle gain? Sudden changes in routine with little explanation may indicate that your partner has romantic interests outside of you. While all relationships settle into a routine, it should be comfortable and warm—not cold and distant. If your partner is seeking affection elsewhere, you may find that their interest in your daily life and intimate affections start to suffer. Even if you attribute a decrease in interest to other reasons, it can be a cautionary red flag to the existence of a side relationship. Are you tired of hearing excuse after excuse for why your partner is late, why they had to miss a date or why they have to leave an event early—without you? Are you not satisfied with the answers and do these excuses not entirely add up? Remember, a cheater will eventually drop the ball and things won’t make sense, don’t be afraid to ask questions to your satisfaction. Think back to the start of your relationship when everything was brand-new and exciting—the chances are good that your new lover spent a lot of money on dates that were designed to impress. Those experiences didn’t come cheap, and if you start to notice that money has gone missing with no explanation, there’s a chance that it may have gone to financing a new romance. Follow the money, especially if it’s in a shared account! Even though it’s important to be alert to the signs of infidelity in your relationship, it’s also important not to jump to conclusions. If you notice one or two red flags, engage in a discussion with your partner and be honest about your suspicions. If you aren’t satisfied with their answers and the red flags, start to add up, don’t dismiss your doubts and follow your heart. You deserve a rewarding relationship with an honest partner who loves only you. Limited Love? Is it Possible? 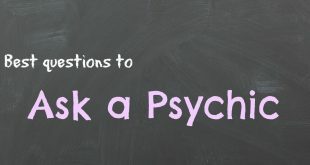 Is your pet a psychic?